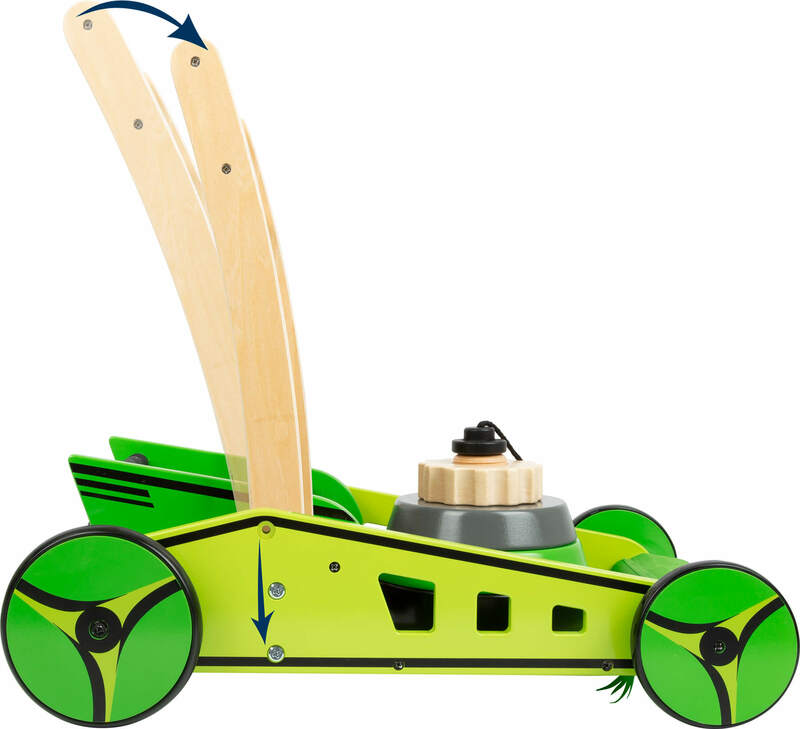 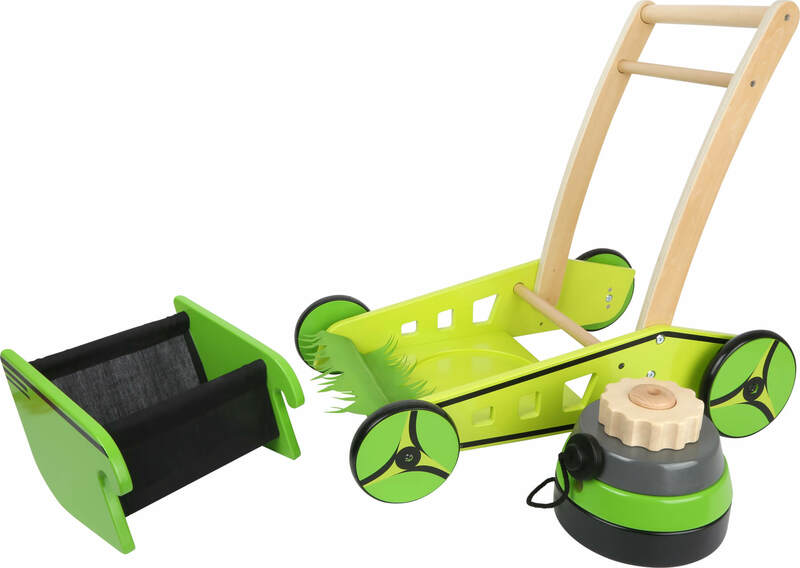 Want to mow the lawn like the grown-ups? 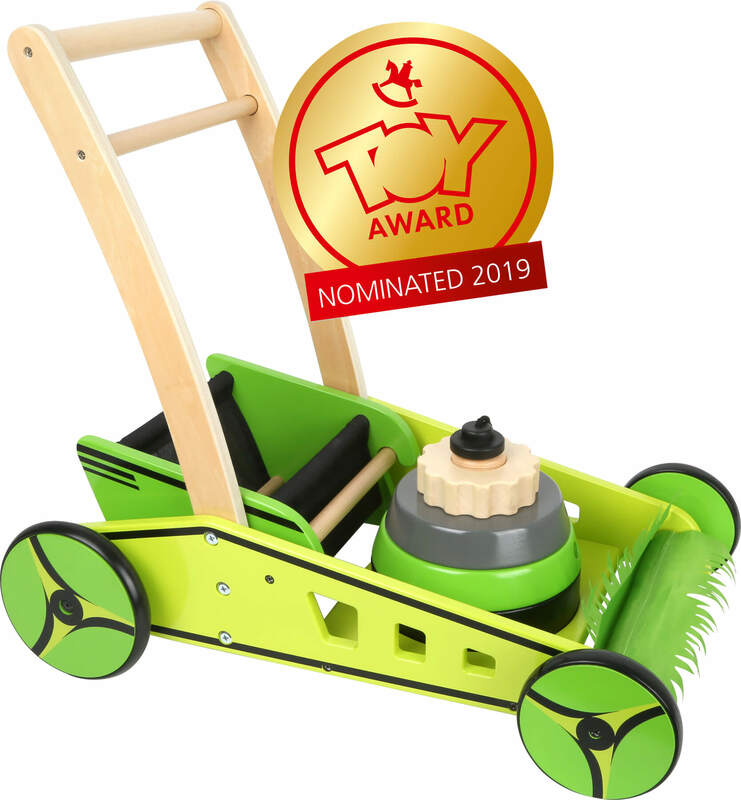 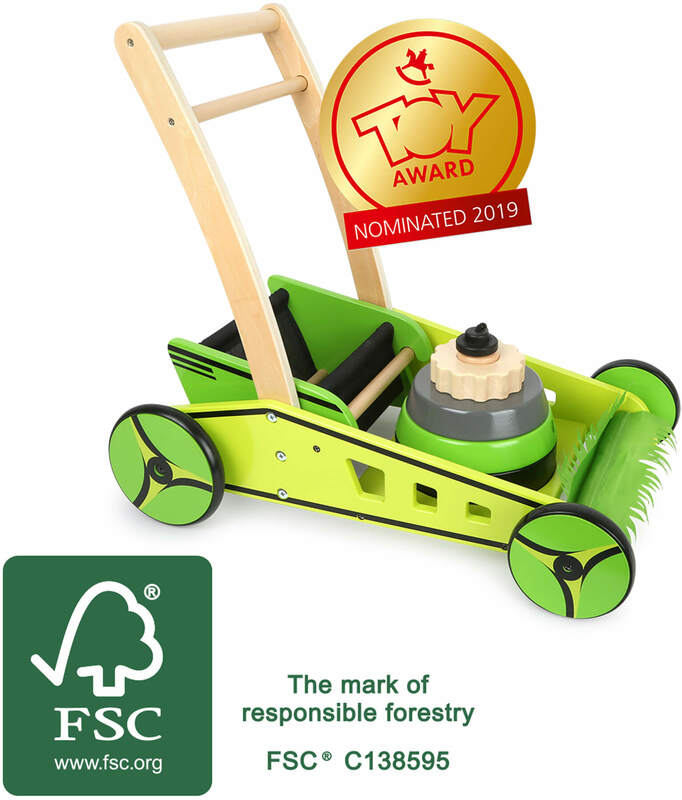 No problem, if you´ve got this 2019-TOYaward-nominated lawn mower made of FSC® 100%-certified wood that´s also a walking assistant for babies. 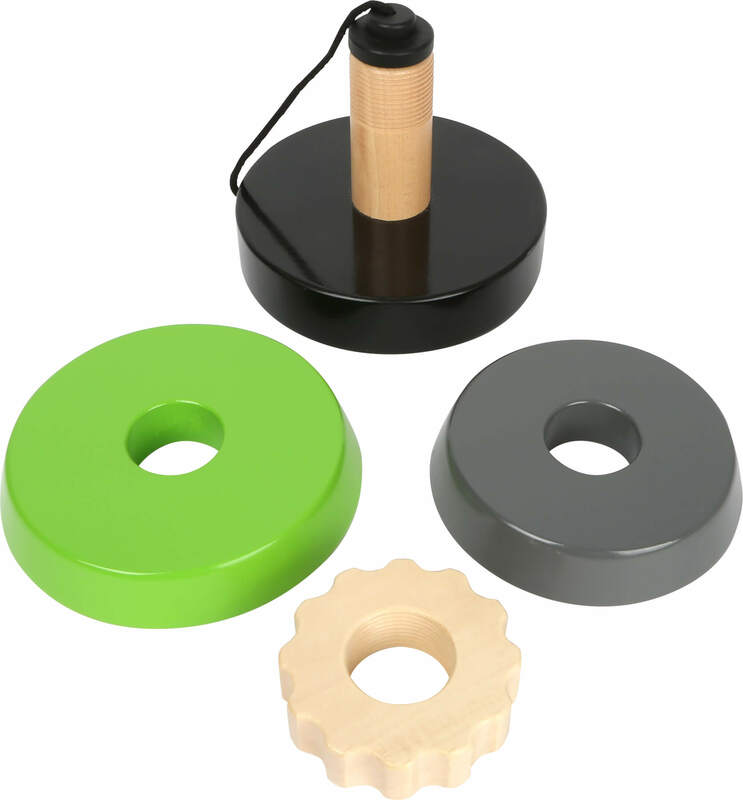 The handle on this brightly coloured walking assistant has two different positions: for the first attempts at walking, the setting for beginner walkers offers a stable and secure hold. 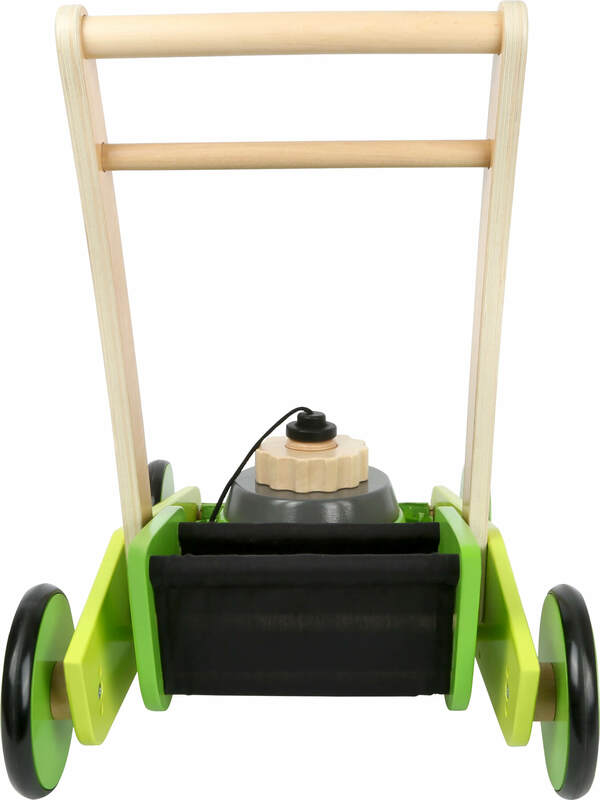 For more advanced walkers, the position can be changed and the collection container can be fitted onto the walker. 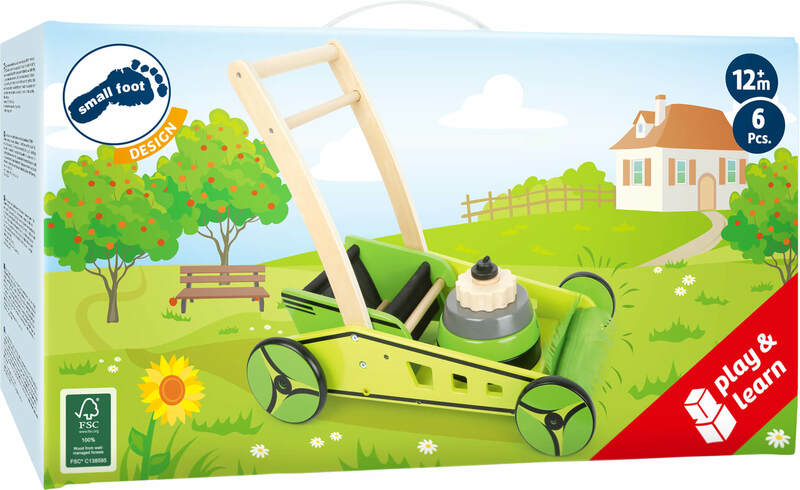 Another great feature is the motor block that can also be used as a shape-fitting game that promotes the development of motor skills. 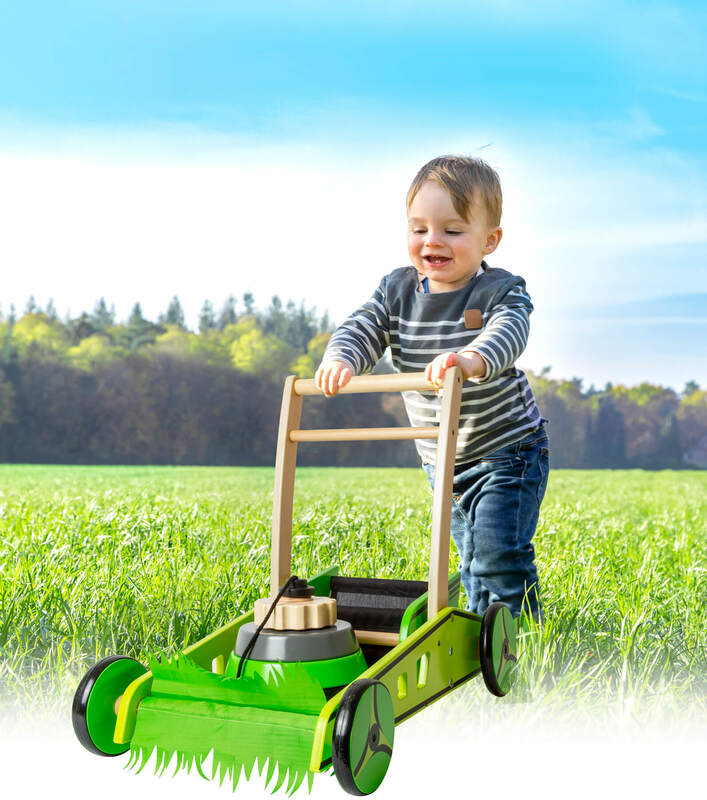 This lawn mower is not only a fantastic walking assistant, but can also be used wonderfully while role-playing. 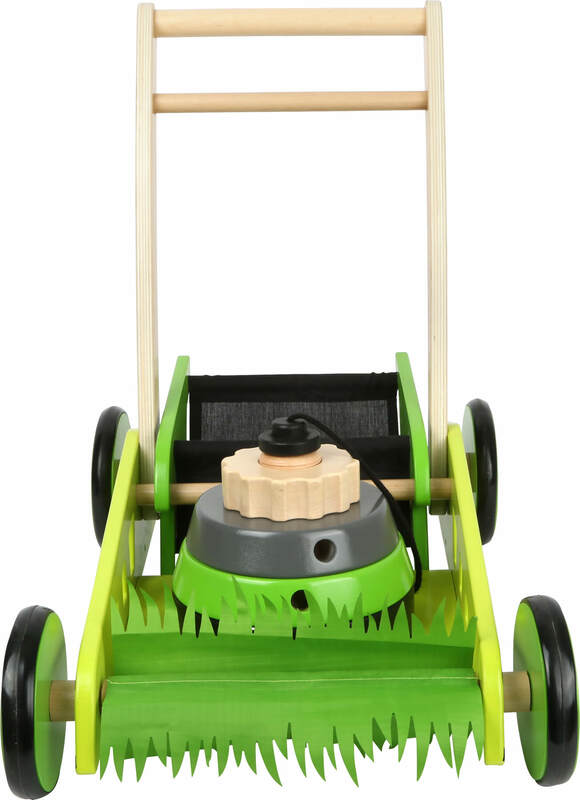 The grass on the front side spins when the lawn mower is pushed. 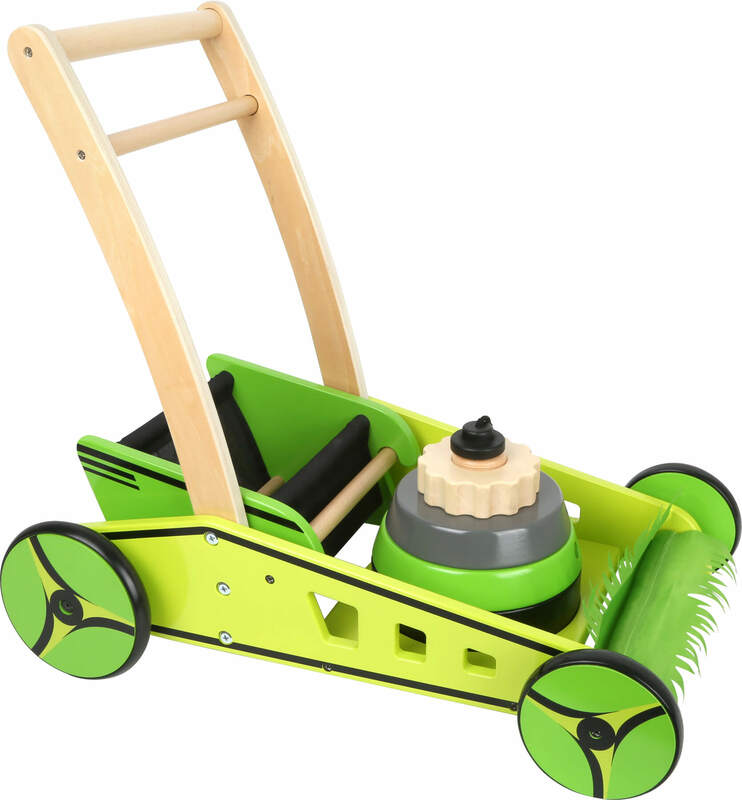 In addition, the grass can be removed via the Velcro pieces and cleaned. 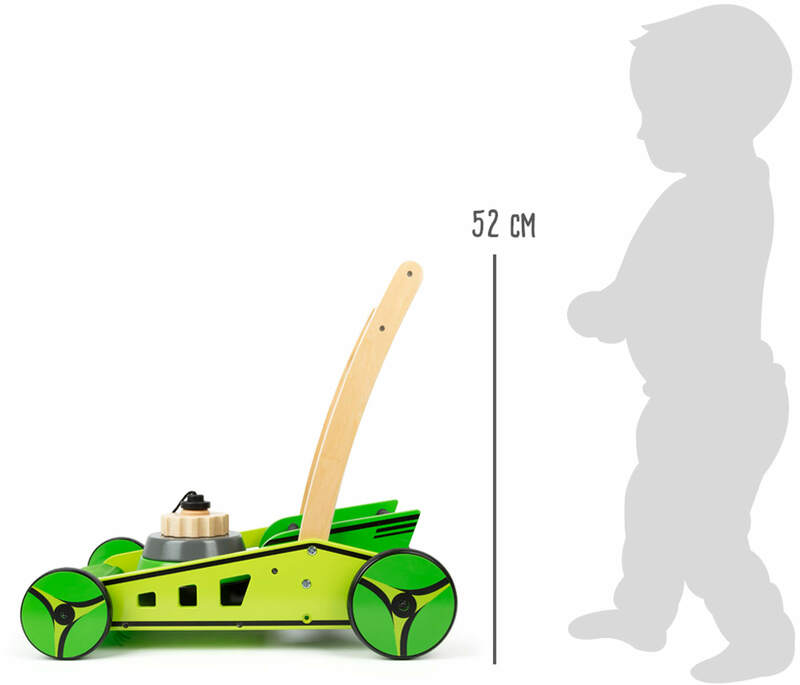 It's a special kind of baby walker that brings lots of joy outside the house, too.